A U.S. federal appeals court sitting in Chicago declared that the class-settlement between RadioShack Corporation (NYSE:RSH) and its customers who opposed the printing of credit and debit card expiry dates on receipts is null and void. The court, considering the proposed legal fees for the customers, said that the settlement amount is too low and thus cannot be upheld. The case was then referred back to the federal district court in Chicago for further proceedings. The customers in their application said that printing of credit or debit card expiry dates makes it easier for identity theft if a receipt landed in wrong hands as a result of loss. This, they argue, is in violation of the federal Fair and Accurate Credit Transactions Act. 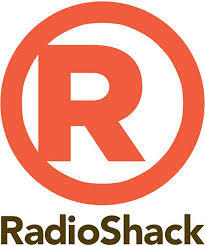 The settlement by RadioShack Corporation (NYSE:RSH) is only $1 million yet the class members are 83,000. The amount thus translates to a mere $10 voucher for every class member. The vouchers are redeemable only at RadioShack Corporation (NYSE:RSH) stores. Judge Richard Posner, writing for the three-judge bench, however acknowledged that RadioShack Corporation (NYSE:RSH) might have rushed for such settlement owing to the company’s fragile financial state. The company also just recently announced that it’s looking for other sources of funds, failure of which it may be forced to file for bankruptcy. Another lawyer, Paul Markoff, who is representing the class members, also acknowledged that indeed RadioShack Corporation (NYSE:RSH) may have been driven by its shaky financial position to opt for such settlement. The judge also considered the fact some of the vouchers may not be redeemed by customers due to various reasons, something that might substantially reduce the settlement amount even further. There are lawyers who opposed the settlement, but have also opposed the legal fees attached to the litigation. Ted Frank, a lawyer who also represented a couple in the case, was happy with the court’s decision. He went further to say that the beneficiaries should be the class members, and any settlement should be based on actual recovery and not inflated figures that won’t benefit the class.